Hey! Anony is a Simple Private Chat Application where you can meet people around world without sharing your personal details. Create WhatsApp Groups is a new application on Playstore. It is an innovative app. Here people can Search and Join number of WhatsApp Groups. Not only this you can also create you own Groups. But only thing is important DONT REMOVE THIS APP FROM YOUR MOBILE if you want request of girls and boys to Join. I think this is not so difficult as this app is very Light in size ( 610KB only ). 1) You make an account by clicking "Sign Up"
2) Then you can Search and Join Groups by clicking on group name then fill Request form. 3) After that Creator of that group will get notification with you name . 4) Then He or She will add in his/her Group. 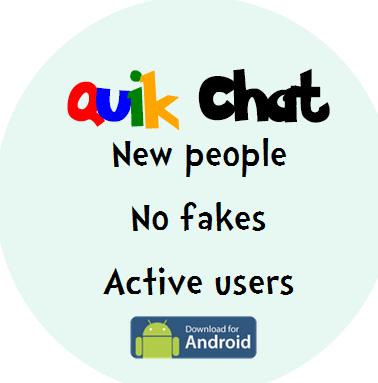 In this android app you can chat with online facebook users in India...Install Now! 2) If we check all check box manually then check box in TH also get check.